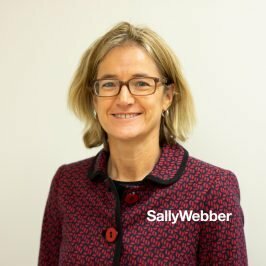 Sally was admitted as a solicitor of the Supreme Court of NSW in 1993. After three years practising in the area of personal injury litigation, she spent eleven years living in Europe, eight of which were spent in Italy. During that time, she worked primarily in the travel and tourism industry. She managed a tour operator business in Rome, worked as a contracts manager for a luxury hotel chain in England and travelled throughout Western Europe contracting resort hotels for a major online tour operator. She returned to Australia in 2007 after completing a Master of Laws in International Commercial Law in England. She recommenced practising as a lawyer and spent the next eight years working in a small boutique CBD law firm, working primarily in the field of commercial litigation and dispute resolution. Due to that firm’s broad client base, she had the conduct of commercial disputes in almost every jurisdiction in New South Wales, as well as in the Federal Court of Australia. In 2013, she became an Accredited Specialist in Commercial Litigation, certified by the Law Society of NSW. Prior to commencing work at Atkinson Vinden, she worked for a well-respected small mid-tier commercial law firm in Sydney where she continued to be involved in a wide variety of increasingly complex commercial litigation work. Sally’s broad commercial litigation experience, together with her experience working outside the law, means that she brings a fresh and commercial approach to the practice of law. Sally lived in Italy for 8 years and can speak fluent Italian.